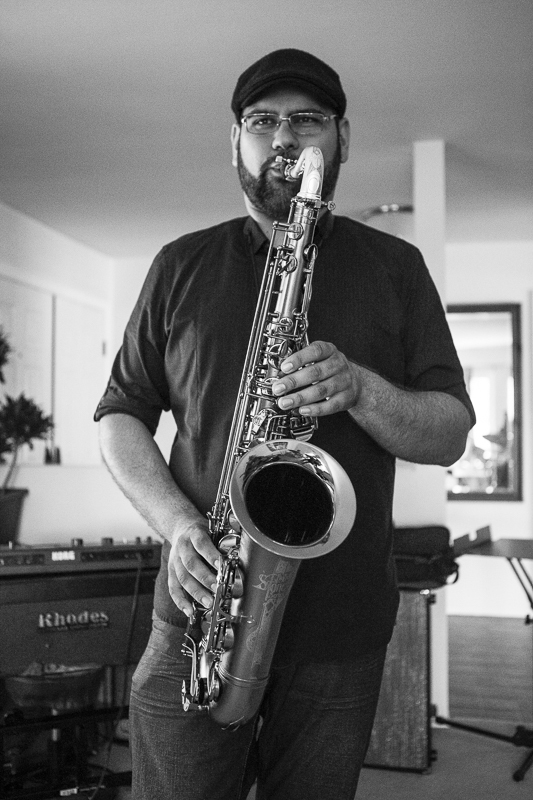 Multi-instrumentalist and composer, Jesse Audelo conveys the soulful flare of his Mexican roots along with his extensive experience with jazz improvisation whenever performing. He is currently a member of the 2015 San Diego Music Award-winning group The Sure Fire Soul Ensemble and co-founded San Diego's newest large jazz ensemble The Gaslamp Quarter Jazz Orchestra. Jesse has performed with well-established professional ensembles including the San Diego Symphony and San Diego Winds. His uniquely soulful sound and in-depth understand of various genres has allowed him to perform with notable industry artists including Platinum-award winner Frankie J, Grammy-award winners Kamau Kenyatta, Daniel Reagan, Adrián Terrazas-Gonzalez and even alongside Tony-award winners Greg Jbara and Alice Ripley. Born and raised in the San Fernando Valley in Los Angeles, Jesse was exposed to a large variety of music starting at an early age particularly from the local radio stations and especially from the oldies, jazz and RnB stations. Starting at age 5, this diversity translated into a player with a distinct sound with fiery soul that shines in his performance, recordings, compositions and arrangements. "Special kudos to Audelo for his masterful playing of flute, clarinet and sax." For his role in the 2015 production of Everybody's Talkin': The Music of Harry Nilsson. In 2015, Jesse was accepted to the graduate program for Jazz at California Institute of the Arts. He continues to record, perform and teach regularly throughout San Diego and Los Angeles. ​ His philosophy on music is to always perform to the fullest and always play with soul.